Thank you for considering us for your training and funding needs. A member of our team will be in touch with you shortly to discuss the best funding solution for you. A leading name in tourism and hospitality, the Star Entertainment Group are known for the impeccable service standards and world-class staff. 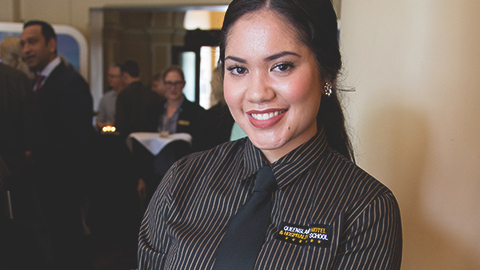 Star Entertainment Group partnered with TAFEQueensland to develop contextualised training to suit the high end service levels expected by their guests and to assist with growing their recruitment pipeline. Through this partnership, we created theQueensland Hotel and Hospitality School to train the hospitality stars of the future. Our goal is to work closely with you to truly understand the specific objectives of your organisation and to identify bespoke training solutions. Tell us about the business issues you face that are unique to your organisation, and together we can style a training program to activate solutions and ultimately point your organisation in the right direction. Our contextualised training packages will be custom-built to meet those objectives.